In the previous one, there is no clear favorite on this occasion, since the two teams can alternate the ball. Because of this and knowing that they are combative and competitive despite their soccer limitations. Remember that the Catalans are not reliable in their stadium, costing them to be balanced between lines. Apart, remember that the visit was difficult to overcome in this condition, beyond having added several defeats in the previous Liga2. After having completed a terrible campaign last season, the Tarragona squad aims to improve their numbers and be more regular in their actions (15th place with 52 points after winning 3 games in the final stretch and reaching permanence). Of course, the team has always been combative and competitive between the lines, standing out for being uncomfortable to overcome. For this campaign, the Catalans aim to be more regular in their stadium and not give up as many points as they did last season. It is enough to see his results to corroborate this statement (7 wins, 3 draws and 11 falls, scoring 22 goals and conceding 29 on his fence). If we analyze these numbers we can conclude that the squad was the third worst local in the entire second division. Only exceeded Barcelona B and Sevilla B, both descended to the Second Division B. Continuing with the analysis, you should know that Nástic played the following friendlies throughout the summer. These served to catch football rhythm and strengthen their collective proposal. The results of these duels were the following: Victory 0-2 before Peralda, triumph 1-2 against Valencia B, victory 1-0 against Zaragoza, triumph 0-1 against Olot and defeat 0-2 against Espanyol. If we review the statistics of these games, we can tell you that the team has proven to be competitive against rivals in the same category. When he collided with a heavier opponent, he ended up losing clearly. The campaign of the establishment can be cataloged like acceptable when adding 59 points in total (15 triumphs, 14 ties and 13 falls in total). Of course, what was achieved was not enough to be able to sneak into the playoff zone. In the end, the difference with Numancia was 6 units, which could be reduced in the final stretch of the last Liga2. However, the squad did not react or play well in this part of the season after equaling 4 of their last 5 league appearances. In terms of goals, scored 58 and gave 50, proving to be an effective team in attack but irregular in defensive matters. As a visitor in the previous tournament he added some points, but mostly had problems to win (4 wins, 6 parities and 11 falls, scoring 20 goals and conceding 33 in his goal). 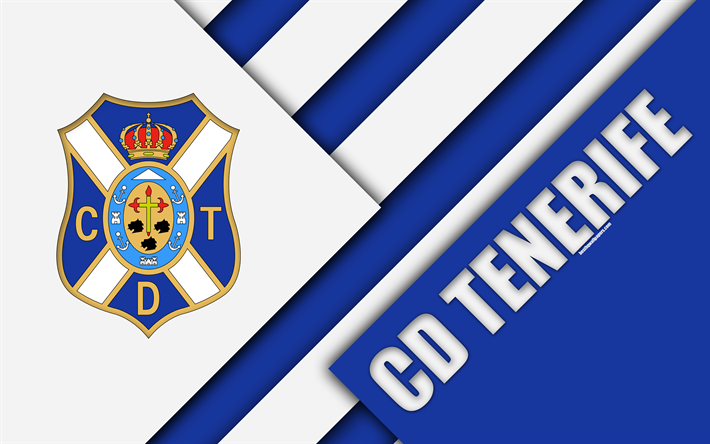 If friendlies are concerned, Tenerife played the following preparation duels, which served to release the legs in the preseason. The markers of these games were the following: Triumph 0-3 against Marino, 0-0 draw with Las Palmas, victory 2-1 against Al Wasl, win 0-1 against Almeria, victory 0-2 against Ibarra and tie 0- 0 against Celta de Vigo B. In general lines, it can be concluded that the “blue and white” have shown a positive performance in their friendlies, standing out for being intense in attack and relatively solid in defense. Of course, they have not faced rivals of great hierarchy, but have clashed against squads of the same category (Las Palmas, Almeria). In the last 2 and a half years, Nástic and Tenerife have met 3 times at the Nou Estadi in Tarragona. The results of these games were the following: Victory 2-1 of Nástic in January 2016, draw 1-1 in January 2017 and win 1-2 of Tenerife in March 2018. Apparently, every time both sets collide , the procedure is closed and tactical in the midfield. Of course, both have shown to have the necessary capacity to recover from a hypothetical initial disadvantage. Paint for the brand to prevail over football once again.